Our latest project is a small pirate themed playground structure to be installed in conjunction with the Town of Magrath at the Magrath (Fishpond) Jubilee/Centennial Park. 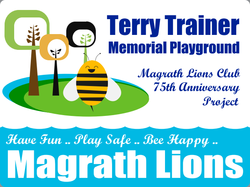 Meanwhile: Pleased to report we are proceeding with plans to install a new playground here in Magrath (Terry Trainer Memorial Playground) this month (Jun 2013 - weather permitting). Mr Trainer had donated a $1000 prize he was awarded from UFA Home Town Hero contest to the Magrath Lions, prior to his untimely death. The balance of the funds for the project were raised by the Magrath Lions Club working at the Lethbridge Casino as a fundraiser last year (about $30,000), with site and other work donated by the Town of Magrath. Gazebo's, Playgrounds, and More - oh my! 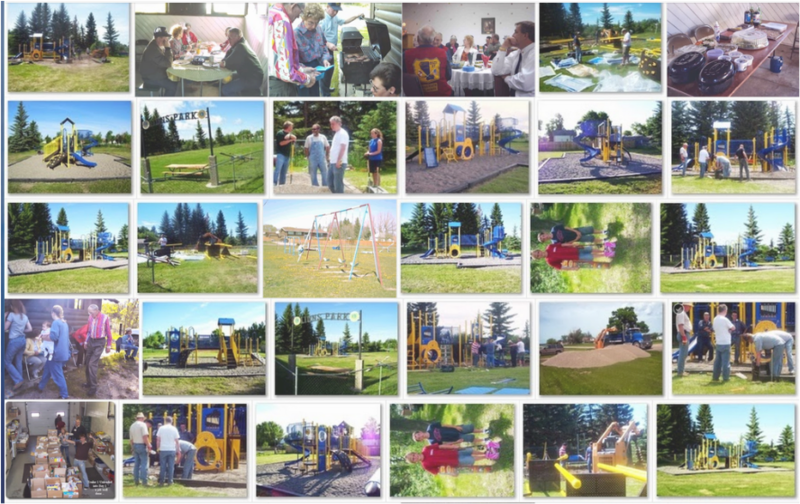 As a club we have organized the preparation and installation of equipment at the Diamond Willow Lodge, a brand new playground structure (about $60,000) installed at the Magrath Lions Playground in Magrath in recent years, as well as making sizeable donations ($15,000) toward the Playground at the Magrath Elementary School. We like playgrounds!